Iran's supreme leader on Thursday lashed out against US President Donald Trump describing the speech he delivered at the UN this week as full of "gangster and cowboy" rhetoric. A handout photo provided by the office of Iran's supreme leader Ayatollah Ali Khamenei shows him addressing members of the Assembly of Experts during a meeting in Tehran on September 21, 2017. "The reason behind the foolish, very ugly, insolent and disorderly speech with cowboy and gangster wording... is their anger (and) desperation," Ayatollah Ali Khamenei said in reference to Trump and the US administration. 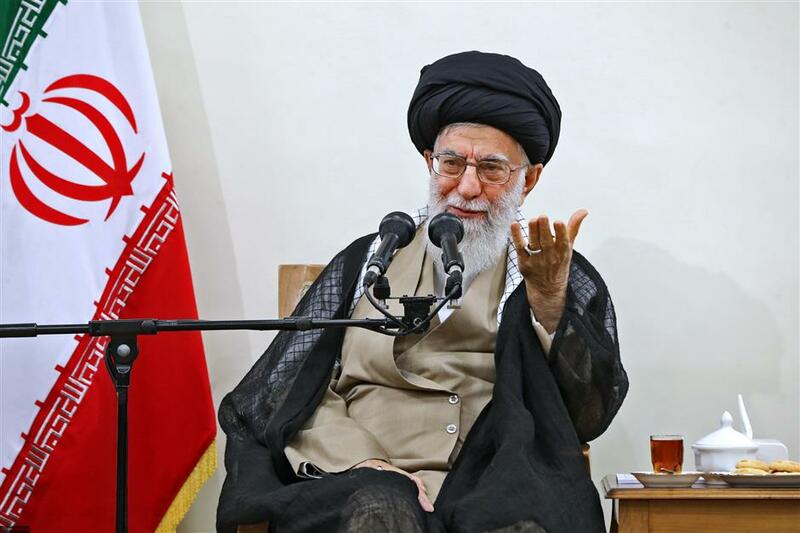 In remarks to a top clerical body, the Assembly of Experts, carried by his website, Khamenei described Trump and the US administration as "having no brains". "The US president's remarks are not a source of pride for the American nation and the elite of that country should feel ashamed of... having such a president," Khamenei said. The Assembly of Experts is a body of elected clerics that oversees the functions of the supreme leader and has constitutional powers to select and even dismiss the leader. Trump delivered a scathing verbal attack against Iran in his maiden speech to the UN General Assembly on Tuesday. The US president referred to the Islamic republic as a "murderous regime" and a "depleted rogue state whose chief exports are violence, bloodshed and chaos". He also called the nuclear deal between Iran and six world powers, including the United States, an "embarrassment" for Washington. Tensions between Tehran and Washington have increased under Trump's administration. In 2015, Iran reached an agreement with Britain, China, France, Germany, Russia and the US to curtail most of its atomic programme in return for lifting of some economic sanctions. But Iran complains that the shadow of existing US sanctions have deprived it from the economic benefits it hoped to achieve from the deal. The UN atomic watchdog has confirmed Iran's compliance to the deal but the US administration says the "technical" adherence is not enough as long as Iran tests ballistic missiles and exerts influence in the region. Trump said on Wednesday he has reached a decision on whether to recertify Iran's compliance with the deal to curb its nuclear programme, but did not reveal his intentions. Iranian President Hassan Rouhani also on Wednesday denounced at the UN "rogue newcomer" Trump's "ignorant, absurd and hateful rhetoric filled with ridiculously baseless allegations" against Iran. Rouhani said on Thursday its nuclear accord with world powers cannot be renegotiated. "There was some discussion by some people that the nuclear deal isn't very bad but shouldn't stay as it is. (That) it's a deal that's good but we should sit down again and debate to see if it can be improved. If it has flaws we can fix them," Rouhani said. "They were told clearly and definitively (by us) that the nuclear deal cannot be renegotiated," he told a press conference in Tehran broadcast live on state television after his return from the UN General Assembly. "(Trump) made big mistakes in his (UN) speech," Rouhani said. "There were baseless and unfounded accusations. It wasn't worthy of the United Nations or an individual who sees himself as the president of a country."